Shortly before Christmas, a young woman was killed in our republic. At only 24, she had already made a small mark on our democracy that many have struggled to make over 3 decades rule. Cerinah Nebanda was a parliamentarian. Her death was sudden, multi-organ failure. Rumours spread about who could have done this cruelty in a land where a fundamental change was delivered 27 years ago ensuring all Ugandans could finally sleep peacefully in their homes- something that was unheard of since our independence. This death came as a shock in a year when we commemorated our 50 years of independence in a way that looked more like 27 years of independence. Many people scrambled for the microphone, some to with outrage, sorrow, fear and others to defend themselves. To wash themselves clean- even if it meant using words mixed with anger and threats. Some Ugandans left their thoughts online. You couldn’t escape from the name Nebanda. In my small village in Kibona, Bushenyi, an older man came to my home to ask me about what could have killed this young woman – with a kind of worrisome voice I rarely get from him. In a country where every night a district is born, many local people are mostly pre-occupied with local politics. But name of Nebanda who hails from a village, more than 500kms from my own, found its way to my Christmas day. A government autopsy report told the citizens that the young woman’s death had to with narcotic drugs and everybody else trying to get a second expert opinion was apprehended. 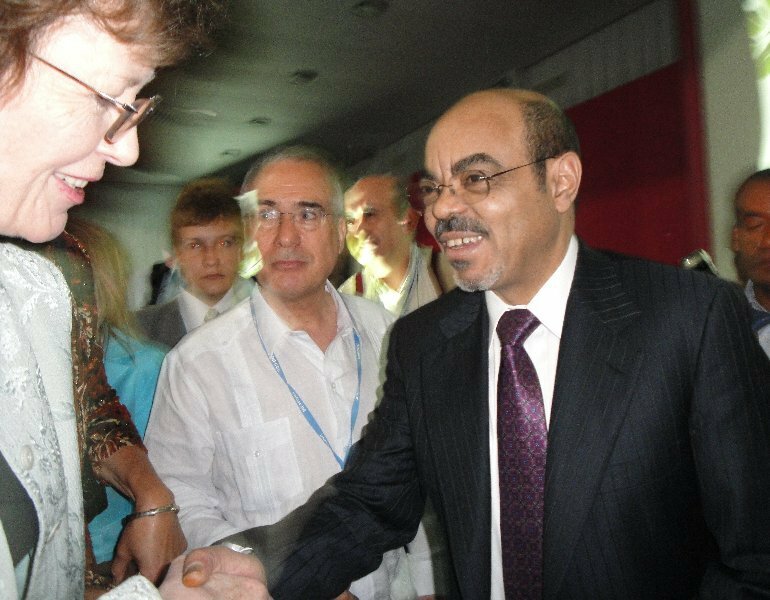 Ethiopia without Zenawi; Will it be freer? In December 2010 I traveled to Cancun, Mexico to cover the UN climate change talks – the COP16. It was there that I met and had a brief chat with the late Ethiopian President Meles Zenawi. Zenawi had been selected by African heads of state to represent collective views of African states at the talks. It wasn’t easy to access him, just like any other leader at such a big world summit but I got a moment after he appeared on a panel talking about economy and climate change. He was as sharp as a tack cutting through all figures of what price the continent’s people were paying as a result of global warming and other climatic effects and what it would take for us to adapt to the changing patterns. After the session I had a brief interview with him before he was led to some stall he had to visit. On the way back I had one more question for him and I did make a successful attempt. I was amazed by his interest in details. I had told him am Ugandan but he wanted to know where exactly in Uganda I was from. When I mentioned west, he still wanted to know which town I was from. Then I went on to say near Mbarara and on his insistance I finally said Bushenyi. I had yet to visit Ethiopia where I have great friends who are like family to me in many ways. When I finally visited the country later that month, I was told about the suppression of the people. I was shocked to know that even a Facebook status complaining about food prices and what government was or wasn’t doing could put one in trouble. I found it a great country with great history whose peoples were yet to see freedom. Ethiopia appears in the last deck of countries when it comes to civil liberties, press freedom and Meles presided over a government that did little listening to dissenting voices.